How Is Laser Eye Lid Surgery Different From Traditional Blepharoplasty? How Is a Laser Eyelid Lift Different From Traditional Blepharoplasty? The sensitive skin around the eyes is particularly subject to the influence of time and the natural process of aging. 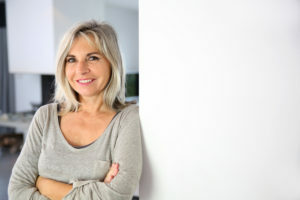 Eyelid surgery, also known as blepharoplasty, can address a wide range of concerns in this area, including skin laxity, excess skin, and wrinkles. Traditional eyelid surgery has been a popular aesthetic treatment for many decades. Laser eyelid surgery, however, is an advanced technique from our experienced plastic surgeon that can provide improved results. Dr. Mark Richards uses this innovative approach to enhance many aspects of the procedure, including recovery time. The primary difference between traditional blepharoplasty and laser eyelid surgery is the capabilities of the tool employed. In traditional blepharoplasty, a scalpel is used to gain access to the area of concern and to remove excess skin and fatty tissue. In laser eyelid surgery, this is performed with a state-of-the-art laser. The laser seals blood vessels as it works, reducing bleeding and bruising. Incisions can be made in the tiny space on the inside of the eyelid for fat pad removal, so there is no visible incision. The laser can also be utilized to resurface the skin around the eyes, creating lighter, smoother, and tighter elastic skin—an effect traditional eyelid surgery could not provide. Excellent results can be achieved with either method, and the right option for you will depend on many factors. Dr. Richards will discuss your desired outcome, anatomic needs, and concerns during your initial consultation.